I’m just at the end of a two-week trip to North America, overnight pills so I thought it would be useful to write a quick blog post to reflect on the various events I have been attending. It’s been a great opportunity to share some of our latest learning design work and to get feedback on the different aspects. 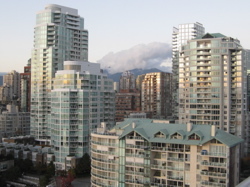 I started in Vancouver where I participated in a two-day event for the British Columbia Educational Technology Users Group (ETUG). The first day was a workshop where participants played with our various tools and resources, viagra 40mg and in particular CompendiumLD. Cloudworks proved to be a useful tool to support the workshop; as a place to share resources, live blog workshop activities, aggregate other relevant resources and participate in discussions. On the second day I began with a talk given an overview of the Open University Learning Design Initiative. This was followed by a series of talks from members of the ETUG community. Sylvia Currie and I jointly live blogged all the sessions. A very rich cloudscape emerged which has now had over 400 unique views! I then attend the TechItUp conference in Kamloops. There were four excellent keynotes and I gave a talk and a workshop. Again a cloudscape with relevant resources and live blogs has been set up. Finally I attended the AECT conference in Louisville, Kentucky. I had been invited by Mike Spector to give a presidential address at the conference. The cloud for the talk is here and a cloudscape with a few live blog clouds is here. It was particularly useful to get feedback from people on Cloudworks and hence to get some new recruits involved in using the site. A number of people I spoke to could see a real use for the site to foster debate in communities they were involved with, but also that it had potential in terms of being used with students. It will be interesting to see what emerges as a result. When I was preparing for my talk at AECT I got hold of the latest stats we are collecting for the site. We now have 1365 registered users, but there are nearly 17,000 unique visits to the site from over 130 countries. There are 1394 clouds and 117 cloudscapes. It’s great to see Cloudworks really starting to take off and to see that it is becoming a truly international community space. This entry was posted on Sunday, November 1st, 2009 at 4:01 pm	and is filed under Cloudworks, Conferences. You can follow any responses to this entry through the RSS 2.0 feed. You can leave a response, or trackback from your own site. 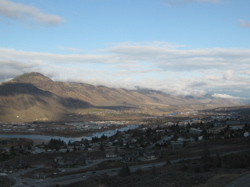 Nice photo of Kamloops! See, you don’t always take the clouds with you I really enjoyed spending time with you on your British Columbia leg of the trip. Although we’ve never collected stats on unique visitors to past ETUG workshop wikis, you can bet it was no where near 400! Thanks for such a great workshop and for all your work to get us rolling in Cloudworks. Hi Enjoyed meeting you too Sylvia - it was a worthwhile trip - see you in the clouds!